Too often people hold on to people who serve them no positive purpose. I’ve been through this more times than I’d like to admit. You care about them and don’t want to end what you have with them. I tried over and over to make it work, just to have things fall apart again. I even went as far as to change parts of my personality to make things better for myself and others. That didn’t go well. 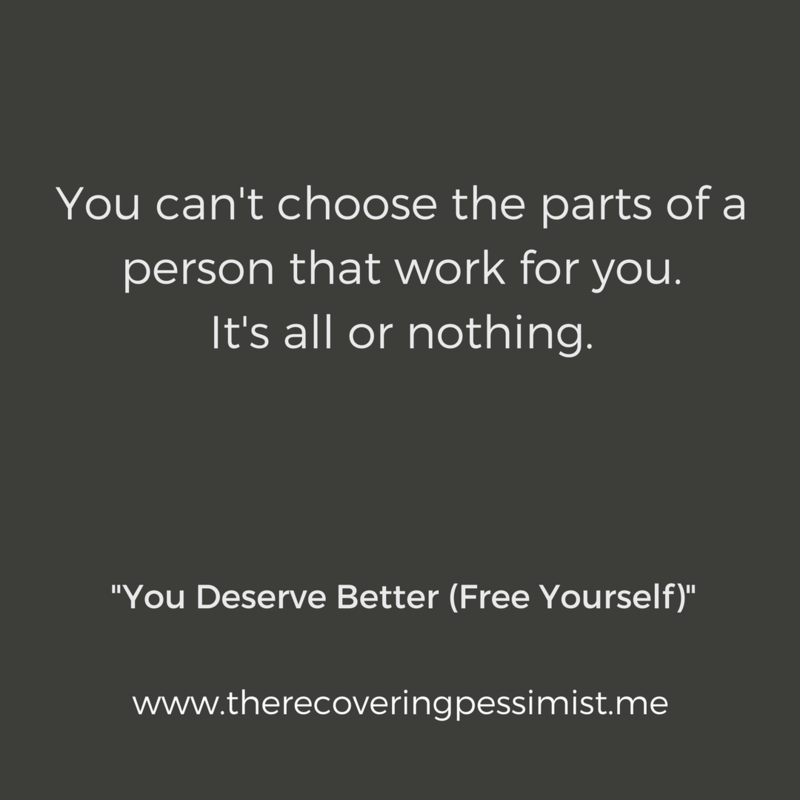 You deserve better than this. There’s no reason to stay in a relationship when the love has waned. The decision to stay becomes a matter of obligation and obligation can easily manifest into resentment. I remember the moment when my obligation to him became resentment. I blamed him for my unhappiness, yet my attempts to regain my happiness failed. I’d leave, but obligation had me coming back to the same old drama. It took a couple attempts but I finally freed myself.